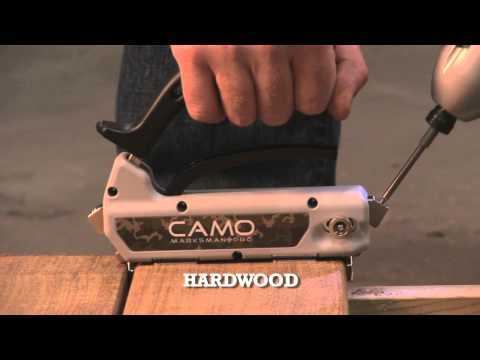 The CAMO Wide Board Marksman Pro is a heavy-duty tool which secures your decking with screws that are hidden. The tool comes with two 5mm spacers, designed to allow boards more space to move with the ongoing weather changes that are common in the UK. The tool allows you to insert screws into the side of your decking, by clamping down onto the board and positioning it at a side-angle with the assistance of screw guides.